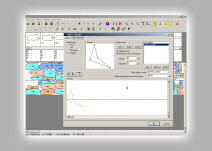 Kuris software for optimization of automatic nesting of textiles with lines and stripes, folded and tubular fabrics. Fully compatible with nesting programs provided by Gerber, Lectra, Assyst. 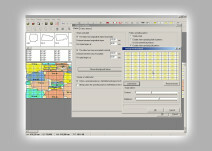 Compatible with all types of plotters and automatic cutting systems from Gerber, Lectra, Assyst and others. 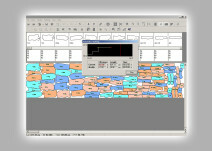 Kuris AutoMarker is an advanced solution for automatic nesting in apparel industry, developed by Kuris, but also available for users that work on other CAD products (direct convertor from Lectra, Assyst, Gerber and also from all applications compatible with DXF – AAMA standard format). Kuris AutoMarker is based on a state-of-the-art technology and algorithms that provide excellent nesting results in record time. It can run full automatic nesting for one single marker or work continuously for a number of them, with no human intervention required. The usual time needed for an average marker of 8 m is about 3-5 minutes. The average results in terms of speed and efficiency are considerably higher than manual nesting. Kuris AutoMarker can perform full automatic nesting on simple, folded or tubular fabrics, with or without plaids, stripes or textiles with specific widths and elastic features. Kuris AutoMarker can output the nesting results in its own file format *.pt or *.mrk, but can also export in all major industry standards: DFX-AAMA, HPGL-PLT, ISO-CUT and RS274D. After automatic nesting, the markers can be directly plotted or send to automatic cutting machine.